The Hindu"I am convinced that Facebook and their ad agencies completely underestimated the Indian public." Picture shows protests in Hyderabad against Facebook’s campaign. The regulations issued by the Telecom Regulatory Authority of India (TRAI)barring differential pricing of data based on content have created a global impact. A friend, who runs a major international software company, called it the most important victory for the people in the tech space in the last 20 years. India has joined a select few countries that have protected net neutrality and barred zero-rating services. What makes this “victory” even more surprising was the complete asymmetry of the two sides involved. On one side was Facebook, a company whose market cap is greater than the GDPs of 144 countries, allied with a bunch of big telecom companies (telcos). They had already “won” easy victories for their platform in a number of countries, and felt India would be no exception. They had an ad campaign that estimates put at Rs.400 crore. On the other side was a motley group of free software and Internet activists, with unlikely allies such as comedy group AIB, a bunch of start-ups, and some political figures and formations. India and Thailand discussed opportunities to broaden their defense and security cooperation during a historic visit by India’s vice president to the Southeast Asian state last week. As I wrote for The Diplomat last month, Indian vice-president Hamid Ansari was set to visit Thailand from February 3 to February 5. 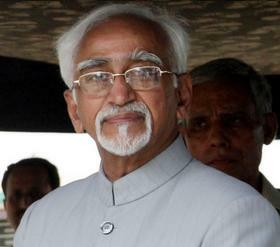 Ansari’s visit to the kingdom was the first by an Indian vice-president in 50 years (See: “India’s Vice-President to Visit Thailand, Brunei in February”). The focus of much of the visit was on security and defense ties, including counterterrorism and maritime security cooperation. That is no surprise since the two countries have been looking to bolster their defense relationship in several areas over the past few years. “There is tremendous potential for enhancing our bilateral defense ties,” Ansari said in a February 4 speech on India, Thailand and ASEAN at the prominent Chulalongkorn University. India and Thailand already have a series of bilateral defense interactions in place, including regular joint exercises, office training and exchanges at various levels as outlined in a memorandum of understanding on defense cooperation back in January 2012. 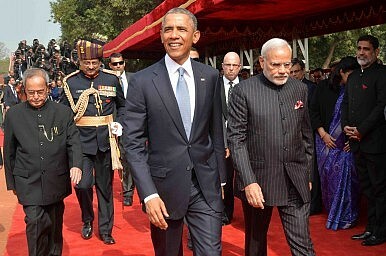 India-U.S. ties have been transformed in recent years, best exemplified with the newly declared global strategic partnership between the two countries. Yet, what is the reality of the partnership in terms of achievements on the ground? And, what could be the future expectations? For starters, the United States’ Pakistan policy remains a problematic issue. The objective of the two countries to advance regional security together is impeded by the continuation of U.S. military aid to Pakistan. This is done through presidential waivers to overcome the provisions of the Kerry-Lugar legislation, which requires Pakistan to act verifiably against terrorist groups on its soil before U.S. aid can be released. Furthermore, the United States does not consider the Taliban as a terrorist organization. The U.S. is, in reality, engaged in an effort to accommodate the Taliban politically in Afghanistan in a Pakistan-brokered deal, which is a risk to India’s security. It is thus difficult to see how, in these circumstances, the counter-terrorism partnership between India and the U.S. can be a defining one for the 21st century. In the past couple of months, a coalition led by Saudi Arabia, the richest country in the Arabian Peninsula, has been bombing major cities of Yemen, the poorest Gulf country. There is no shortage of conflict in the Middle East and Yemen has become its newest victim. The Saudis are receiving enormous pressure from West to decrease the aggressiveness in their attacks on the cities, which has consumed lives of over 4000 civilians at this time. Instead of moulding bending themselves under this international pressure, the Saudi’s have strengthened their command over this issue and have promised to resolve this by crushing the Iranian backed Houthi rebels. On 14th July, the coalition took and overdrive and invaded the major Yemeni port of Aden. This operation was backed by coalition aircrafts and were manned by a group of people who were loyal to the exiled government, followed by extensive support of Saudi and Emirati commandos, were able to recapture Yemen’s second largest city from the grip of Houthi rebels. This was just a glimpse of what was to come. On August 2nd, French Leclerc main battle tanks, Russian BMD-3 armed personnel carriers, and American mine-resistant troop carriers landed along with a 3000-strong combined Saudi and UAE infantry division at Aden and immediately began to push northwards towards the al-Anad military base. Although this impressive and powerful show of strength was supported by tribal fighters who were sympathetic to the exiled government led by Mr. Hadi, and it came under no surprise that these powerful show of weaponry were operated by professionals. As the festivities marking the end of the nation's 67th Republic Day drew to an end, one was left not with a spirit of bounden pride as one recalled during one's younger days but with a feeling of mixed emotions. The solemn ceremony with the prime minister along with the three service chiefs paying homage at the Amar Jawan Jyoti is a moment of collective reflection and a befitting beginning to the celebrations. Befitting, because it also signifies an umbrella of unlimited liability provided by the individual soldier, sailor and airman that assures the nation security for continued progress. One does wonder, however, if in those two minutes of homage, the prime minister heard the silent plea of the martyrs reminding him of his party's grand electoral promise to give to them a permanent memorial of their own. In an important turn in the 2008 Mumbai attacks trial, Lashkar operative David Headley named Jamaat-ud-Dawa chief and 26/11 mastermind Hafiz Saeed as the head of the Lashkar-e-Taiba. During his deposition on Monday before a special court here via videoconferencing from the U.S., he identified Pakistani Army officers associated with the ISI. Lashkar handlers Saeed and Zaki-ur-Rehman Lakhvi had also been named by Ajmal Kasab, the Pakistani gunman who was executed for his role in 26/11, in his confession statement in 2008. However, he retracted his confession in court. High level diplomats from four countries met over the weekend in Islamabad to discuss ending the war in Afghanistan. The meeting, hosted by the Government of Pakistan, was the third time that the so-called Quadrilateral Coordination Group (QCG) of Afghanistan, Pakistan, the United States and China convened discussing the Afghan peace and reconciliation process. According to an Afghan Ministry of Foreign Affairs press release, the representatives of the QCG countries—Afghan Deputy Foreign Minister Hekmat Khalil Karzai; Foreign Secretary of Pakistan, Aizaz Ahmad Chaudhry; U.S. Special Representative for Afghanistan and Pakistan, Ambassador Richard G. Olson; and China’s Special Envoy for Afghanistan, Ambassador Deng Xijun—expect talks between the Afghan government and Taliban groups to take place by the of February 2016. “[T]he QCG countries agreed to continue joint efforts for setting a date for direct peace talks between the representatives of the Afghan government and Taliban groups expected to take place by the end of February 2016.” However, Ahmad Shekib Mustaghni, a spokesman for the Ministry of Foreign Affairs clarified that merely the date for peace talks will be finalized by the end of February 2016. The ongoing crisis in the Middle East has got more complex with the revival of Saudi-Iran tensions. While tensions have simmered between these two nations for long, what caused their lingering enmity to snowball into a face off were Iran’s alleged support to Syria’s Bashar al Assad regime, Saudi airstrikes on Houthi rebels in Yemen. Further intensifying a sense of mutual hostility was the negotiation of a Joint Comprehensive Plan of Action in which the P5+1 powers reached an amicable solution with the Iranian leadership, getting the latter out of decades of global isolation. Tensions had begun to emerge when the deal allowed Iran to curb its nuclear program (and not eliminating it), thus feeding into Saudi insecurities. All of this took an even uglier turn as successive dampeners unfolded with the latest ones being the death of hundreds of Iranian Hajj pilgrims in a stampede at Mecca in 2015 and the execution of a Shia cleric Sheikh Nimr-al-Nimr by Saudi authorities in January 2016. The reaction to the latter came in the form of arson attacks on Saudi embassy in Tehran, following which Saudi Arabia and its Arab allies cut their diplomatic ties with Iran. The key district of Sangin in the southern Afghan province of Helmand is once again on the verge of being overrun by the Taliban, according to an Afghan army commander. The commander, who wishes to remain anonymous, told the BBC that most of the district had already been taken. He said the Afghan government now controls just a few square kilometres of Sangin city. The Afghan army and local governor’s office dismissed the claims. A spokesman for the Helmand governor acknowledged there had been security problems in the past but said there was no “serious threat” that could lead to the fall of Sangin. The unnamed commander warned that even the remaining areas under government control were under imminent threat. The spectacular rise of China has been arguably the most important geopolitical development of the past three-and-a-half decades. The concomitant changes in the strategic behaviour of Beijing have forced major powers around the world to take notice, resist, adapt and adjust. After studying the history of the past 500 years, Prof. Graham Allison of Harvard Kennedy School sets the record straight: of the past 16 instances when a rising power has challenged a ruling power, 12 have ended in war. Avoiding a war between the US and China, therefore, will require—according to Allison—“nothing short of bending the arc of history”. To be sure, the prospects of a US-China face-off seem slightly overhyped despite Allison’s warnings. But the significance of China’s rise and its fallout cannot be overstated. In recent years, China has grown far more assertive in its maritime boundary claims in the East and South China Seas. Partly owing to the slow pace of reforms in international financial institutions and partly to excess capacity at home, Beijing has taken the lead in creating new financial institutions. The Asian Infrastructure Investment Bank (AIIB) has produced fissures between the US and some of its European and Asian allies. China is also leading efforts to form a New Development Bank (NDB) along with India, Brazil, Russia and South Africa and an SCO bank along with members of the Shanghai Cooperation Organization. But one of its most important steps to make the “Chinese dream” a reality is its “One Belt One Road” (OBOR) initiative. Worries over another Chinese currency devaluation are hanging over financial markets “like the Sword of Damocles,” while Japan is also fighting to keep its currency low to save Abenomics. Can Asia ride out the storm? 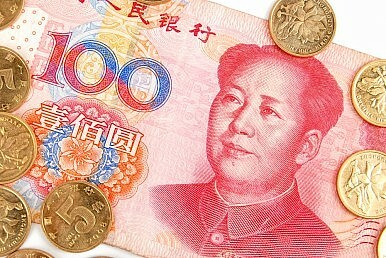 As Chinese financial markets paused for the Lunar New Year, market watchers were speculating on just how far the Chinese renminbi may fall in 2016, and its implications for the global economy. According to Kenneth Rogoff, former chief economist at the International Monetary Fund (IMF), uncertainty over Beijing’s intentions has left markets floundering. “Since 2016 began, the prospect of a major devaluation of China’s renminbi has been hanging over global markets like the Sword of Damocles. No other source of policy uncertainty has been as destabilizing,” he wrotein Project Syndicate. Was the Iran Deal a Victory For Realism? Although 2016 just started, it will clearly go down in history as the year that saw the lifting of international sanctions against Iran. What happens next, however, is still unclear in many ways. How much oil will Iran deliver? What will be the Iran deal’s effect on the U.S. presidential elections? Will the bloodshed in Syria stop? How heavily were the American-Israeli relations damaged? Is it the beginning of the end for ISIS? Who won? Who lost? Among all these significant questions there is another, no less important: Does the Iran deal represent a change in American foreign policy thinking? Or, in other words, was this deal a mere flash of foreign policy realism after several decades of ideological dominance, or is a major change under way? Building on the momentum from the successful pursuit of the nuclear deal with Iran, the P5+1 should now combine pressure and diplomacy to deal with Iran’s missile program. Missiles became an essential component of Iran’s military posture during the Iran-Iraq war in the 1980s, in which Iran received intensive Iraqi missile and air bombardments. Tehran started to build a missile arsenal because it could not get technical support for its largely U.S.-made modern aircraft. Over the years, Iran acquired Soviet-made or copied missiles from North Korea, Libya and Syria. Although Iran today has the largest ballistic missile arsenal in the Middle East, both Saudi Arabia and Israel have substantial missile programs and had deployed longer-range missiles before Iran. Moreover, Israel is believed to arm its longer-range missiles with nuclear warheads. The low accuracy of Iran’s missiles has limited their military utility. More recently Iran appears to be placing a priority on accuracy over range—most logical if Iran’s paths to nuclear warheads are blocked by its agreement to last July’s Joint Comprehensive Plan of Action (JCPOA) and if it has no intention to engage in long-distance nuclear terrorism. As Islamic State forces lose ground in Iraq and Syria, fighters loyal to the group have seized territory in oil-rich Libya, levying taxes at gunpoint and creating sanctuaries to launch possible attacks in North Africa and Europe, U.S. officials say. The Pentagon has sent special operations teams to gather intelligence and launched at least one airstrike. But the White House so far has resisted calls from some senior aides to escalate the U.S. military role in another Muslim country to counter the potential threat. Spy satellites and reconnaissance drones have shown the militants building fortifications around Surt, on the central Mediterranean coast and on training bases for foreign fighters farther inland, the officials said. A U.S. intelligence estimate this week concluded that Islamic State has attracted more than 5,000 fighters in Libya, double the official estimate last fall, making it the extremist group’s largest and most potent affiliate outside Syria and Iraq. Islamic State threatens to gain a “stranglehold” in Libya and potential “access to billions of dollars of oil revenue,” Secretary of State John F. Kerry warned, one of several alarms the administration has raised in recent days. U.S. intelligence and defense officials are increasingly worried their fight against the self-declared Islamic State is benefitting al Qaeda, ISIS’s jihadi rival. U.S. strikes against the self-proclaimed Islamic State have had an unintended beneficiary: al Qaeda. Al Qaeda has exploited the strikes and gained strength, and that has created a growing rift within U.S. national security circles about where the coalition should aim its strikes. Some American intelligence and defense officials and counterterrorism experts are worried that the intense focus on defeating ISIS has blinded the U.S. to the resurgence of al Qaeda, whose growing potency has become more apparent as ISIS becomes weaker. 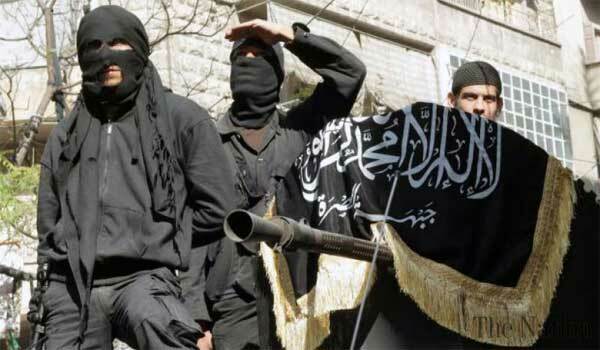 The American air campaign has notably not targeted al Qaeda in Syria, known as Jabhat al Nusra. With its foe, ISIS, under daily coalition bombardment, al Qaeda has been thriving, continuing to re-align itself with local forces, and re-emerging as the world’s enduring terror group. “Now, al Nusra Front and [ISIS] don’t get along… I guess you could say to the extent that we’re weakening [ISIS], maybe it benefits al Nusra Front,” Lt. Gen. Sean MacFarland, the top U.S. commander in the war against ISIS, conceded in a recent briefing with reporters. Ahead of North Korea’s widely condemned rocket launch on Sunday, South Korea’s Ministry of National Defense threatened to shoot down the projectile if it approached its territory. “The military is strengthening its air defense posture to intercept the North Korean missile or its debris that could fall on our land or in our waters,” ministry spokesman Moon Sang-gyun told media on February 4. Ultimately, the rocket didn’t enter South Korean airspace and Seoul was never called to make good on its vow. In reality, however, it probably couldn’t have even it wanted to. 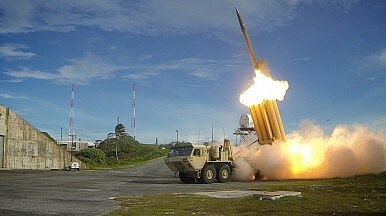 Seoul made an empty threat, weapons experts told The Diplomat, because its missile defense system is incapable of intercepting the type of long-range rocket that was launched by Pyongyang. 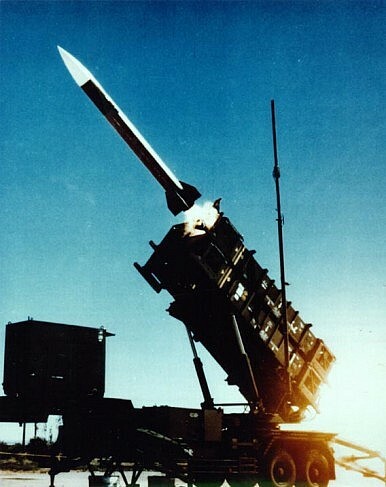 South Korea’s military had said it had readied Patriot Advanced Capability-2 (PAC-2) surface-to-air missiles, and could call upon the United States Forces Korea to deploy its PAC-3 missiles if necessary. But George Lewis, an analyst at the Judith Reppy Institute for Peace and Conflict Studies at Cornell University, said the missile defense systems had ranges in the tens of kilometers, making them little use against Pyongyang’s rocket. When Jimmy Carter came into office, he was determined to reverse the growth in defense spending that had been bequeathed to his administration by Secretary of Defense Donald Rumsfeld. In particular, he tried to make good on his campaign promise by rescinding funds for a new aircraft carrier. Congress overturned his recission, but Carter persisted with his efforts to limit defense spending, in line with his view that the United States had other international security priorities, such as intensifying its pursuit of détente, achieving a further reduction of its nuclear arsenal as part of a SALT II agreement and limiting its foreign military sales to allies and friends. It took the overthrow of the Shah and the Soviet invasion of Afghanistan to force Carter and his close circle of advisors to concede that Zbigniew Brzezinski, his national security advisor, and Harold Brown, his secretary of defense, had been justified in calling for a harder line against the Soviets and a much more robust defense budget. Accordingly, by the time he left office, Carter had approved an increase in defense spending that would have been unimaginable just two years earlier, and that provided the foundation for the massive buildup that took place under Ronald Reagan and Caspar Weinberger. Despite its isolation, despite its poverty, despite breathless international condemnations, North Korea marches ever closer to fielding a functioning intercontinental ballistic missile. More troubling, Pyongyang is also making progress in miniaturizing a nuclear weapon to put atop such an ICBM, even as its collection of bombs grows. The Obama administration has exercised a policy of “strategic patience” vis-à-vis the North over the past seven years. Then-Secretary of Defense Robert Gates, insisting he was “tired of buying the same horse twice,” was right to approach renewed negotiations with North Korea with wariness. But strategic patience has amounted to strategic folly. Patience was always an odd approach to take with a regime responsible for the deaths of hundreds of thousands of its own people, prone to violent outbursts and intent on developing the means to drop a nuke on Los Angeles. The mass shooting in San Bernardino, California, shooting brought home the challenging problems of detecting home-grown jihadists in the United States. Syed Farook lived an outwardly normal life, under the radar of intelligence and law enforcement. He was born in the United States, and held a good job in the local government. His wife, Tashfeen Malik, entered the country under a valid fiancé visa. The guns they used to kill 14 people and wound 22 others were purchased by a friend. Farook had done nothing to lead his co-workers and neighbors to suspect him. This massacre offers a virtual textbook example of the problem. Washington faces a formidable task in ferreting out and catching jihadists who live in the United States. All the high-tech tools of government surveillance are of little use if a terrorist does little to draw attention. Turkey Air Force F-4E 2020 Terminator at the 3rd Air Force Base in Konya. Photo: SAC Helen Farrer RAF Mobile News Team/MOD, Wikipedia Commons. Since the Syrian Civil War broke out, the Turkmen population of Syria has been suppressed by military actions of Syrian government forces and has looked to Turkey for support and protection. Most Turkmens in Syria live in areas around the northern Euphrates River basin near Aleppo and in scattered villages across central Syria. After Turkey shot down Russian Su-24 bomber over an area sprinkled with Turkmens camps, Turkey declared, “No one can legitimate attacks on Turkmen in Syria using the pretext of fighting DAESH”, using the Arabic acronym for ISIS. Russian has now created its own virtual “no-fly-zone” in Syria since 30 September 2015. A force-wide look at misconduct among seniormilitary officers — and the efforts to prevent it — found significant differences among the services’ cultures. “The Army and the Marine Corps have a very mature profession of arms,” said Rear Adm. Margaret “Peg” Klein, the defense secretary’s senior adviser for military professionalism. “The ground forces, they send really junior people into leadership positions. They have company command, they have O-3s going into command, and their professional identity is learned very early on,” Klein said, referring to the paygrade for captains in the Army, Marines and Air Force. Navy O-3s are lieutenants. Yet the Navy and the Air Force, historically, “are very technically focused,” she said. During the past 15 years, the U.S. Army has borne the brunt of the demands of the wars in Afghanistan and Iraq and against the self-proclaimed Islamic State (also called ISIL) — wars that are far from over. In this context, the fact that Congress felt compelled to establish a commission to consider the future mission and purpose of the Army tells us something dismaying about the quality of strategic thinking in Washington. As disorder spreads in the Middle East and regional powers such as Russia flex their muscles, we will undoubtedly rely time and again on the Army, whose reason for being is to deter and defeat adversaries. The real question is what resources Congress needs to provide to the Army to enable officers and soldiers to perform this mission. Let’s start with the positive. The National Commission on the Future of the Army, which reported out last week, made some valuable points. First, it pushed back on some bad, politically driven ideas that questioned the need for a robust Army. The report affirmed that “land power will be required to fight and win wars now and in the future, despite the aspirations of some to fight wars at arm’s length.” It also stated that demands for Army forces are increasing. While these points might seem obvious, they implicitly challenge the worldview of the Obama administration, which has consistently undervalued the role of conventional ground forces in its way of war and for keeping the peace. It’s no surprise that the military is failing to retain many of its best and brightest leaders. The call fortalent management reform has been rung and it would seem that for those of us not working at OSD-Plans and Policy, there is little that we can do other than wait for changes to come. Sadly, this assumption is far from the truth. Regardless of what comes from the Force of the Future initiative[i] and assorted personnel reforms, we will never have a perfectly efficient labor market in the military. In recent years, the Obama administration’s foreign policy has emphasized precision strike stand-off capabilities, especially drones, as well as a policy of surging American military might from the continental United States (CONUS) after a crisis has already started, versus maintaining significant overseas force presence. In the face of the Great Recession and sequestration, these two policy tools were particularly attractive approaches for managing insecurity in a resource-constrained environment. However, with the economy in much better shape and the worst years of the debt crisis past, it is unclear whether the next administration will embrace these same tools.